The City Council approved a two-year budget for Emeryville at its meeting on June 19. It’s our first financial blue print since the demise of Redevelopment Agency (RDA) funding, and it reflects the fact that building boom days are over. The fight to pay for key services and essential projects without RDA support now begins. Let me offer some personal comments on our financial prospects. I’ll start with a selection of good news. The city’s early childhood development center (ECDC) will be fully funded and strengthened. Funding for our traditional community promotions grants and for ECAP has been found. Fire service expenses have been shifted to Alameda County at considerable savings to the city, and service has been enhanced. Funding to bring police services to full strength are in the new budget. Essential public works projects—Marina dredging, sidewalk repairs, sewers, tree planting, maintenance—are funded. 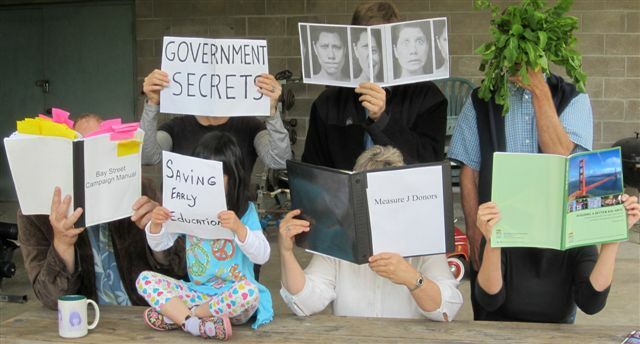 Modest reserves are built into the new budget. Finally, provisions for the care and feeding of the city’s General Plan are provided. But here’s a look at the darker side. I reported last year that the city’s long term debt stands at $165,474,763. When you add interest, our combined debt is $250,102,582. 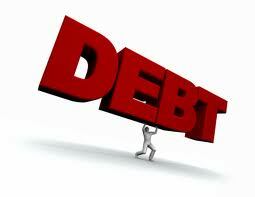 Funding that debt cost $8,601,997 in the fiscal year ending 30 June, 2011. That’s a burden that will be with us in the new era, and we can’t take it lightly. The new budget assumes, based on recent trends, that increases in business license taxes and sales taxes will occur. All budgets are a guessing game to a degree, and we can only hope these two assumptions are borne out. Cuts in city staff are part of the new budget, and two such posts are in key service areas: a community preservation officer and an arts coordinator, both previously held by admired public servants. The assumption here is that other staffers can handle these important functions. Well, we’ll see. Finally, the capital improvements kitty in the new blue print is a modest $400,000, and modest it must be without RDA funds. I don’t expect much from the efforts of the County Oversight Committee to win state approval of RDA programs already in the works. Some good projects will be lost as the state reels in RDA monies. Permit one final meditation. I’m not optimistic about the broader financial universe in which Emeryville exits. The global economy is in distress with the United Kingdom in a double dip recession, the Euro Zone struggling to solve daunting problems, and stalled economic growth in China and India. Add political deadlock over the economy in Washington plus our own state’s debt problems and you get a bleak picture indeed. So it’s into a murky future we go. Let’s hope our own modest plans are up to the challenge. Bill Reuter is Chair of the City’s Finance Advisory Committee. i truly appreciate mr. reuter’s periodic financial reports and condensing what i am sure is a lot of reading. Immediately, I recall an ill conceived $95M Bond indebtedness that will be passed on to our successors. But, it feels good now. Again, I say, Don’t tear down the Paid For High School, and KEEP Anna Yates. We are a small Community, with exactly the right amount of Educational Facilities. Projected enrollment increases are “B.S.”. And, the entire ECCL Project is a pioneering dream that will not work! It seems like the “Have Nots” are in control, and they lack foresight. As a constituent, I feel helpless and disappointed. The school bond is NOT city debt. The $25 million of RDA money the City wants to give EUSD is RDA money, kinda sort of but not painful City debt. If the successor agency and/or the Department of Finance does not approve the obligation and the City seeks to find another way to fund the ECCL, such as General Obligation Bonds or other creative financing, that WILL BE painful City debt. Bonding against general fund revenues = bad, bad idea. Emeryville administration threw the baby out with the bath water. The city made very modest cuts to make a show of cutting, but kept overpaid bureaucrats. They kept the director of redevelopment at $250,000 plus a year and cut the arts person at $35,000 a year and the code compliance person at $85,000. It is all political and you can bet that they — the City admin will keep this ball bouncing back and forth until they retire. There is no accountability on the part of the City Council. They just roll over and do what the City Manager directs them to do. Emeryville is in BIG trouble.